In this third article in the DevOps series, we will install and set up Cacti, a free and open source Web-based network monitoring and graphing tool, using Ansible. 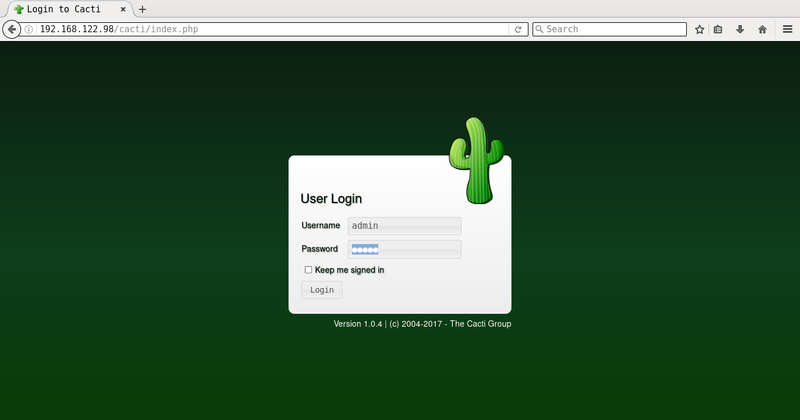 Cacti is written in PHP and uses the MySQL database as a backend. It uses the RRDtool (Round-Robin Database tool) to handle time series data and has built-in SNMP support. Cacti has been released under the GNU General Public License. We will use a CentOS 6.8 virtual machine (VM) running on KVM to setup Cacti. Just for this demonstration, we will disable SELinux. You will need to set the following in /etc/selinux/config and reboot the VM. When using in production, it is essential that you enable SELinux. You should then test for Internet connectivity from within the VM. 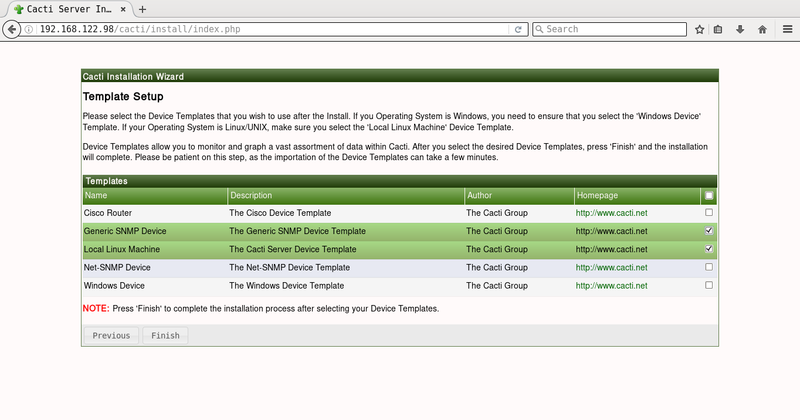 The cacti.yml playbook is located in the ansible/playbooks/configuration folder. Provide a password when prompted, following which, the Nano text editor will open. You can enter the following credentials and save the file. It will prompt you for a password, and on successful authentication, your text editor will open with the decrypted file contents for editing. Cacti has many dependency packages, and the first software that we will install is the Apache HTTP server. A ‘yum update’ is first performed to sync with the package repositories. 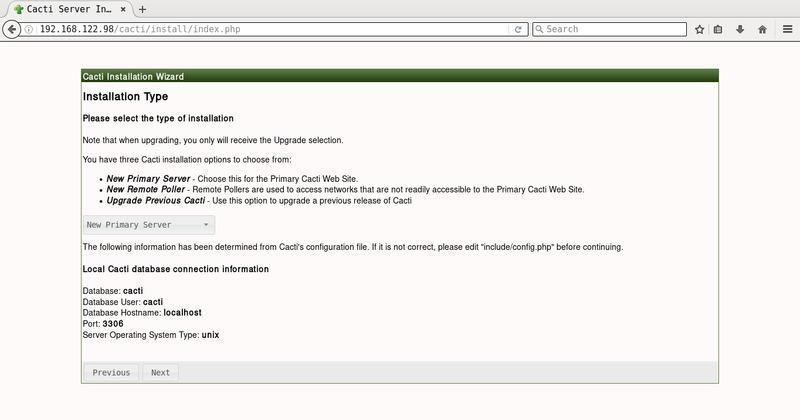 The httpd Web server and a few other packages are then installed. 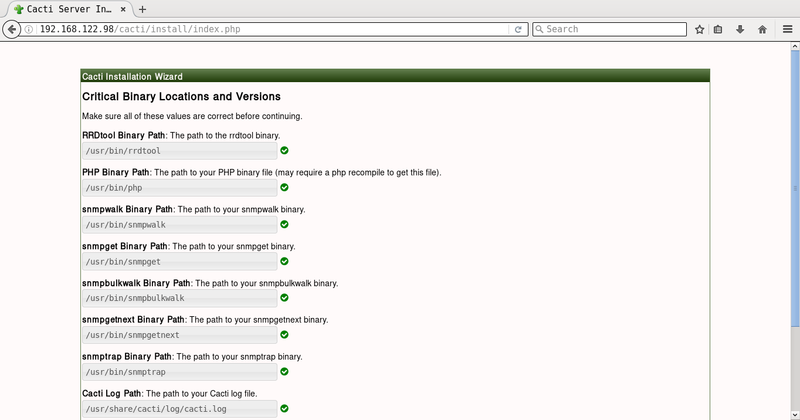 The server is started, and the Ansible playbook waits for the server to listen on port 80. Cacti is available in the EPEL repository for CentOS. The GPG key for the CentOS repositories is enabled before installing the EPEL repository. A ‘yum update’ is performed and the Cacti package is installed. A ‘cacti’ user is then created in the MySQL database. 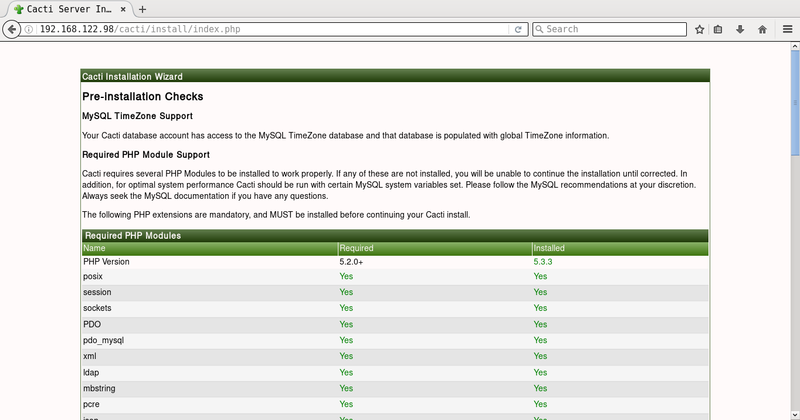 The time zone data is missing in this MySQL version (5.1.73-8). In order to resolve this bug, the mysql_test_data_timezone.sql file needs to be imported and the ‘cacti’ user needs to be given the SELECT privilege to do this. It is a good practice to have a separate playbook for such exceptional cases. In future, when you upgrade to newer versions that have bug fixes, you can simply skip this step. The last step involves configuring Cacti. The MySQL and HTTP servers are then restarted. It will prompt you for the Vault password, following which all the playbooks will be completed. 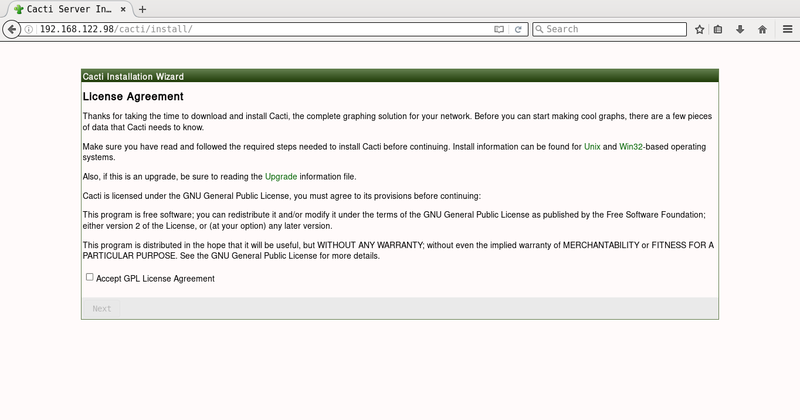 You can then open http://192.168.122.98/cacti to accept the GNU General Public License agreement. After you agree to the terms of the license, click ‘Next’. 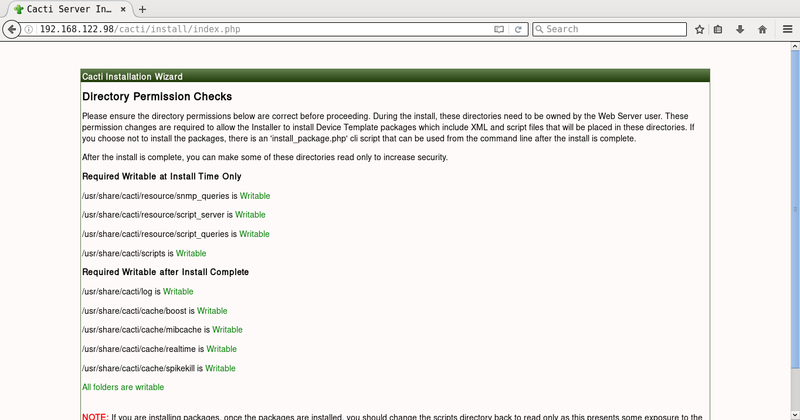 The Cacti installation wizard shows the pre-installation checks, which should not have any errors. This is followed by the selection of the installation type, binary location, version, and the directory permission checks. You can then decide on the templates you would like to set up, following which a user login is provided. The default user name and password is ‘admin:admin’, and you will be immediately prompted to change the password after logging in. 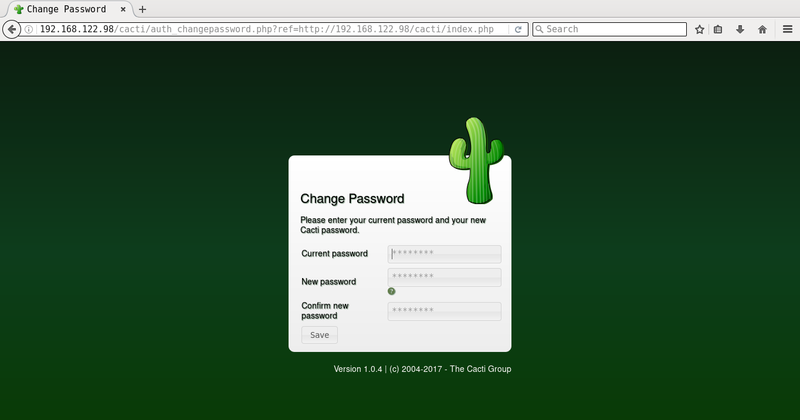 You can then proceed to log in to the Cacti dashboard. Figures 1 to 8 give the screenshots of the Cacti Web UI installation for reference. 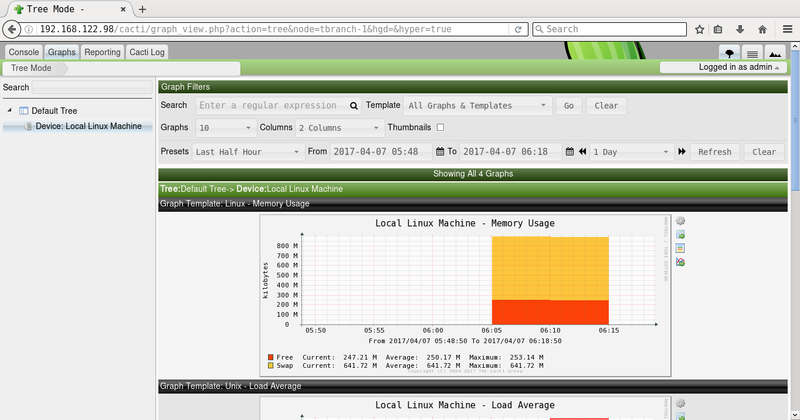 A screenshot of Cacti graphing for memory usage is shown in Figure 9.